At some point in recent years — I think it was about the time that then-candidate Obama started running as if on fire from the Muslim “accusation” — I found myself a self-appointed basher of Muslim-bashing. I wrote an op/ed about Obama’s reactions to the Muslim thing for the Detroit Free Press, and since then, have occasionally gotten to fill the role of Muslim-bashing-basher professionally (as a contract writer), but mostly, it’s been me standing on my virtual soapbox and yelling as loudly as I can — as was the case on Sunday night, this time on Twitter. Via Twitter, I learned that the CNN documentary Unwelcome: The Muslim Next Door had aired that evening, and brought to light some pretty hair-raising anti-Muslim hatred, leaving some of my Muslim Twitter buddies upset and saddened. I spontaneously responded by starting a new hashtag: #MuslimAmericanHero. Over the next 24 hours or so, a bunch of us swapped the names and stories of Americans we admire or even find heroic, Americans who happen to be Muslim, and I learned a lot in the process. Did you know, for instance, that an Egyptian-American Muslim scientist named Farouk El-Baz served as the Supervisor of Lunar Science Planning for NASA’s Apollo Program? Yeah, neither did I. But if you helped put people on the moon? You are totally an American hero in my book. So I decided to take a few of the names that came up under the hashtag (and if you don’t know what the heck a hashtag is, this is a great source) and give them some love here. Because honest to God, the more we non-Muslim Americans come to recognize the contributions of our Muslim compatriots? The better off we all will be. Cpl. Kareem Rashad Sultan Khan, US Army – Twenty years old when he was killed by an IED in Iraq, Cpl. Kareem Rashad Sultan Khan’s military awards and decorations include the Purple Heart, Army Commendation Medal, a bronze star, and a good conduct medal. 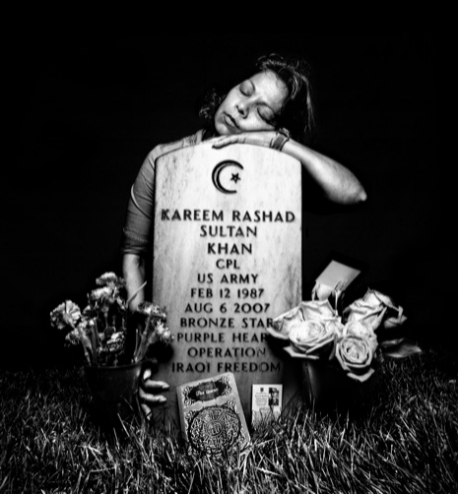 His unit was scheduled to ship home a month before he was killed, but the 2007 surge extended Khan’s combat tour. His story came to the forefront of America’s discussion of Muslim patriotism when Colin Powell discussed Khan’s sacrifice at some length on Meet the Press in 2008. Mohammad Salman Hamdani – A 23 year old paramedic and a 9/11 first responder, Mohammad Salman Hamdani died trying to save lives at the World Trade Center. After his death, Hamdani’s Muslim faith was seen as reason to suspect him of collaborating with the terrorists — thankfully, the truth of his life and death eventually came out. Rep. Keith Ellison evoked Hamdani’s memory at Peter King’s recent hearings into the “radicalization” of American Muslims, breaking down in tears as he did so. Rep. Keith Ellison – This country’s first Muslim member of Congress, Rep. Ellison (D-MN) is sharp, compassionate, and a dedicated advocate for the civil rights of all Americans. On a personal note, I will forever be grateful to him for being one of the very few members of Congress to ever travel to the Gaza Strip, and for defending the good name of Judge Richard Goldstone, author of the much-maligned but little-read Goldstone Report on Israel’s 2008/09 war in Gaza. Farouk El-Baz – Today the director of Boston University’s Center for Remote Sensing (a thing I will have to look up, next), Dr. El-Baz served as the Supervisor of Lunar Science Planning for NASA’s Apollo Program from 1967-1972, and then went on to establish and direct the Center for Earth and Planetary Studies at the Smithsonian Institution’s Air and Space Museum. 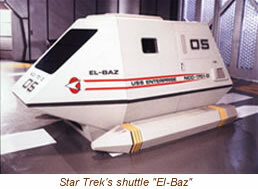 Perhaps most importantly, Dr. El-Baz had a shuttle named after him in Star Trek: The Next Generation. I don’t know this man’s name, but he strikes me as pretty heroic, too. Update: My internet buddy Rabbi Rachel Barenblatt did some research into the Kareem Salama video, the story behind it and its director, and I highly recommend that you check out her post: “Learning about a Land Called Paradise” (and also, more generally, make sure you check out her blog! Velveteen Rabbi). Oh, wow — thank you for the “Land Called Paradise” video, which really moves me. I’m doing some digging to learn more both about Kareem Salama and about Leena Khan, the filmmaker, and am hoping to post about both later today. I’m looking forward to reading your post! Excellent! I’ll update this post with a link to it. Good work, Emily. Watching the music video with tears streaming down my face. And you managed to find a Star Trek connection! The world is naught but Star Trek connections. We are but privileged to live among them. Thank you emily. Keep up the good work. I am a good friend of Kareem Khan’s mother and I will tell you she prefers if you would mention him as Cpl Kareem Rashad Sultan Khan, US Army. She is so grateful each and every time her son is mentioned anywhere because she is extremely proud of her only son that died for our country. His memory is all she has and she thanks you for writing about him. Your comment about how “we non-Muslims” need to get it together couldn’t be more true. I really enjoyed reading this, thank you. Thank you so much for coming by and letting me know. I’m making a correction now. As we say in Judaism: May his memory be for a blessing. came across your post on twitter – as a Muslim in America, thank you! from the bottom of my heart! My pleasure! Someone we’ll look back on this in horror, and have to explain it to people who have a hard time believing it really was this way, once. And I did not know that about Fazlur Khan! That’s fascinating. I’ll have to start referring to him, too! Thank you. That was truly moving,please keep up the good work and lets build bridges and make this world a better place.There has been too much hate & violence in the name of religion/ethnicity, surely we can all take one small step to change the world for better!! I’m actually surprised such a tiny number of comments on this thread addressed the photo. I remember listening to Colin Powell’s remarks on the photo, looking it up , and reading the bio of this young American. I don’t think it was just my heart that wept.